Russia’s Ministry of Defense is to order the construction of several Antonov An-124 “Ruslan” strategic transport aircraft, one of the world's largest. Production of the model was suspended in mid-1990s. Financing for the new Ruslans is part of the military procurement program for the upcoming decade, chief of Russia’s Airborne Troops Lieutenant General Vladimir Shamanov told journalists on Wednesday. He did not specify the exact number of the aircraft to be obtained. Earlier President Medvedev suggested the purchase of 20 An-124s for an estimated $4 billion for the Russian military, which would almost double the fleet. The Ruslan was designed by the Ukraine-based Antonov Design Bureau in the late 1970s as a form of transport for mobile ballistic missile launchers and large infantry forces. 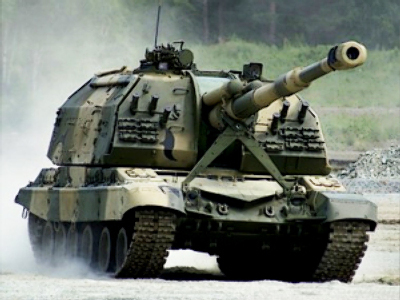 It was produced by plants in Ukraine’s capital Kiev and in Ulyanovsk in central Russia for both military and civilian clients. The modernized version for the Russian military will be produced in Ulyanovsk. Ruslan is the world’s largest serial airliner, with a wing span of 73.3 meters and length of 69 meters. It can carry up to 150 tons of payload up to 5,400 kilometers. 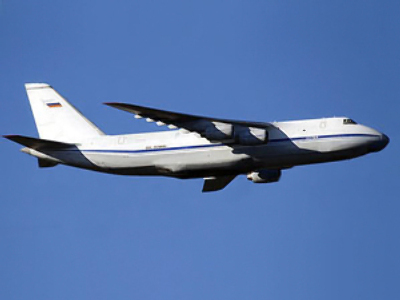 Ruslan is surpassed by another Antonov aircraft, the An-225, which was built to transport the soviet counterpart of the Space Shuttle – the Buran. Only one such vehicle, which has a maximum payload of 250 tons, exists.